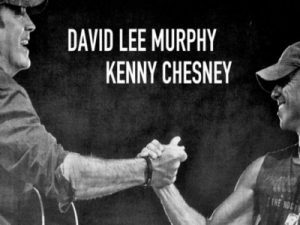 "Everything's Gonna Be Alright" is a song by American country music artists David Lee Murphy and Kenny Chesney, written by Murphy along with Jimmy Yeary and Christopher Stevens. The song is the lead single to Murphy's fifth studio album No Zip Code. On the Hot Country Songs chart dated December 16, 2017, the song entered at No. 47, making for Murphy's first appearance on that chart since "Inspiration", which peaked at No. 46 in 2004. At this point, the song had also been on the Country Airplay charts for four weeks. It has sold 129,000 copies in the United States as of April 2018.